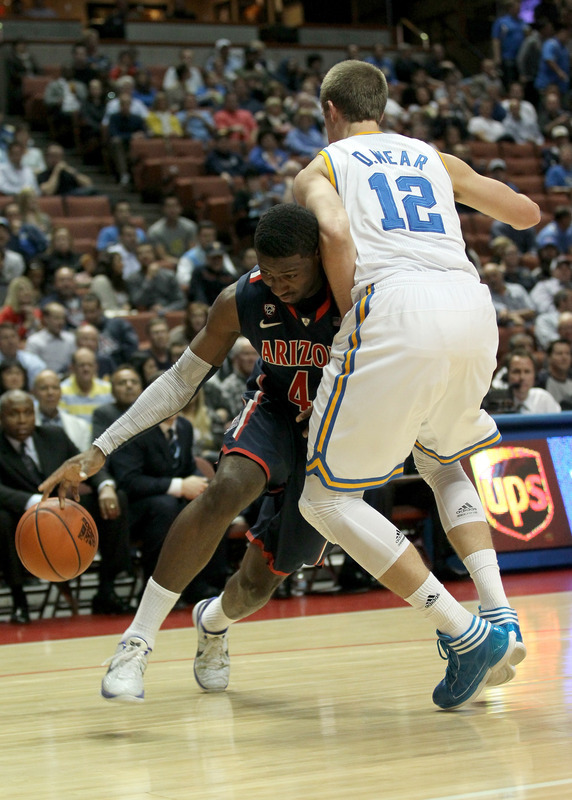 You don't have to be a college basketball expert to figure out how important Thursday's game against the Ucla Bruins was for the Arizona Wildcats. Beating a preseason favorite (that has faded badly) was important for Sean Miller's squad since it would put them in the upper echelon of Pac 12 basketball, unfortunately they fell short in Anaheim. The Honda Center, an arena with both great and awful Cat's memories from last year's tournament had another poor memory for Arizona. The Bruins fed the ball to their to headed center combo of twins: the Wears. And boy, did they wear down the Cat's will in the paint. Travis Wear had 20 points while his brother David had 14 points. The two combined for 34 points and an astonishing 13-16 as they gave the Cats their fifth loss of the season.